Slice the cucumber into thin thin rounds, and slice cherry tomatoes in half. 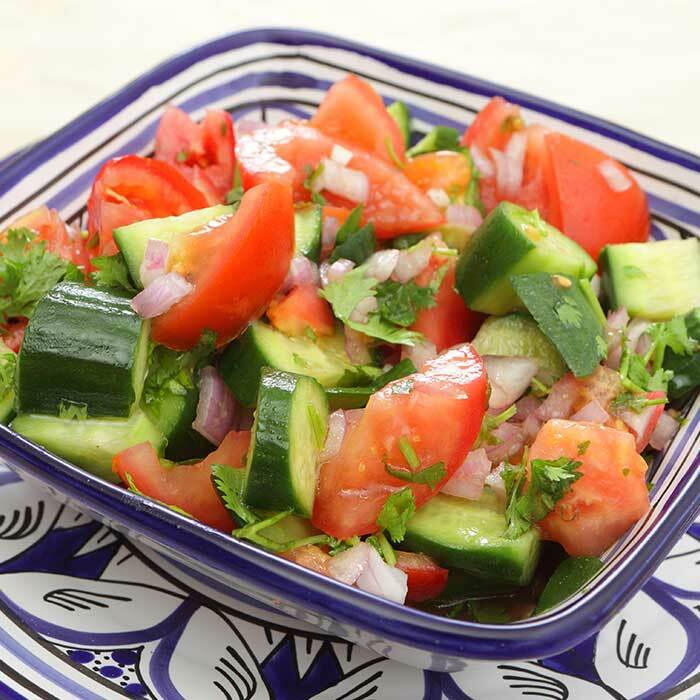 Combine cucumber, cherry tomatoes, and diced onions in a bowl. Remove cilantro leaves and add to the bowl. In a separate bowl whisk together vinegar, oil and sugar, add to the bowl as a dressing and serve immediately.